Over the last couple of weeks, I’ve finally had to admit it to myself…..I simply can’t do it all anymore! I’m feeling so very blessed that this business has had such quick growth over the last 6 months. It all happened with really wonderful timing, since my family has just made the transition to this business being our only income. That being said, though, I’ve been running myself into the ground trying to keep up with everything. Things became crystal clear this week when both my son and I started feeling a little yucky. The whole idea behind Melody’s Makings’ was that I’d be able to be home enjoying my family more. Lately I’ve been so busy, though, that I’ve spent less time with them than ever. That just won’t do. So, along with hiring someone to help me answer questions and provide really excellent support to my customers, I’ve decided to reach out to fellow designers and start adding some guest contributions to my blog. I’m really excited about this opportunity because I’ve always been a huge believer in cross promotion and supporting one another within this industry. Because I know how much time, effort, and energy goes into creating great content (especially free patterns! ), I’m breaking away from the norm. and not only offering promotion of your business and patterns, but monetary compensation as well. This is a great opportunity to put your business in front of a new audience, gain new followers, and make a little extra spending cash! The idea for the pattern or content you’d like to use as your guest contribution (If you have a sketch you can include, that’s great, but not required. Just give me a basic idea of what you’re planning). All the important links for your business (Please include website, Ravelry shop, Etsy shop (if you have one), Craftsy shop, Facebook Page, Twitter Profile, Pinterest Profile, and any others you’d like me to link to). A blurb about yourself and your business that you’d like me to include at the bottom of your post. A photo of you or a photo that represents your business. The time frame you’ll be able to complete everything in so I can add you to my schedule. For each guest contribution, I’ll be including a designer spotlight at the bottom of the post. This will include a photo representing your business along with links to your website, shops, and social media pages. If your guest post is a free pattern, I always ask that everyone downloading the pattern either sign up for your newsletter (if you have one) or follow you on one of your social media pages (you choose which one) in return. I also ask that they share the post with fellow yarn lovers so we can each gain a little more exposure. I’ll also be featuring the post on my social media pages (I currently have upwards of 38,000 followers on Facebook), my social media groups (I have 12,000+ group members on Facebook, and 3,400+ group members on Ravelry), and in my weekly newsletter (I currently have upwards of 32,000 subscribers). If your guest post is a free pattern, you’ll be paid $75 for your post upon approval. If you guest post is great knit or crochet content, you’ll be paid $50 for your post upon approval. 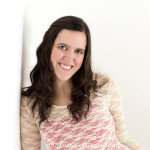 If your guest post is a free pattern, it will be exclusive to my website for 6 months from the date of posting. The description, and info. included in the pattern introduction will be exclusive to my site permanently, and no portion of it may be copied if you re-post the pattern on your own site when the 6 month term has expired. The post and pattern will remain on my site permanently. If providing a free pattern, you are responsible for having the pattern thoroughly tested and tech. edited before submitting the final copy to me. The final copy of the pattern should be in PDF format. You will need to provide professional quality photos of the project your pattern is for. If your photos aren’t up to the standards I’m looking for, I’d be happy to photograph your item for you. You will be responsible for covering the shipping costs to send it to and from me, though. This amount can be deducted from your total pay. Any photos I take will remain exclusive to my site only. You will also be responsible for answering any questions that I may receive about the pattern in the future. All of these questions will be forwarded to you via e-mail. If your guest post is great knit or crochet content, it will be exclusive to my website permanently. It may not be copied or re-used in any manner. I’m so looking forward to working with you as a guest contributor! Have any questions!? Please send me an e-mail at melody@melodys-makings.com. I’m interested if doing a post for you and offering a free pattern – I have one in mind I planned to do anyways, but it will be mid summer before I can do it – I have 5 kiddos and homeschool and run my own design business, so I’m sure you can understand. Let me know when in the summer you have an opening and I can work towards that. Yes! I definitely understand. I’d love to have you to a guest post in the summer. Just let me know which month works best for you and I can schedule you in. I would like to offer up a free crochet pattern in late spring or early summer does it need to be a clothing item or can it be to make anything? I too home school and time is a commodity right now but I think by late spring or early summer I should have enough time to get my idea together and to you. Hey Susan! Nope – It can be any type of pattern. If you send me your idea to melody@melodys-makings.com I’ll let you know if it’s something I’m interested in featuring 🙂 Thanks! 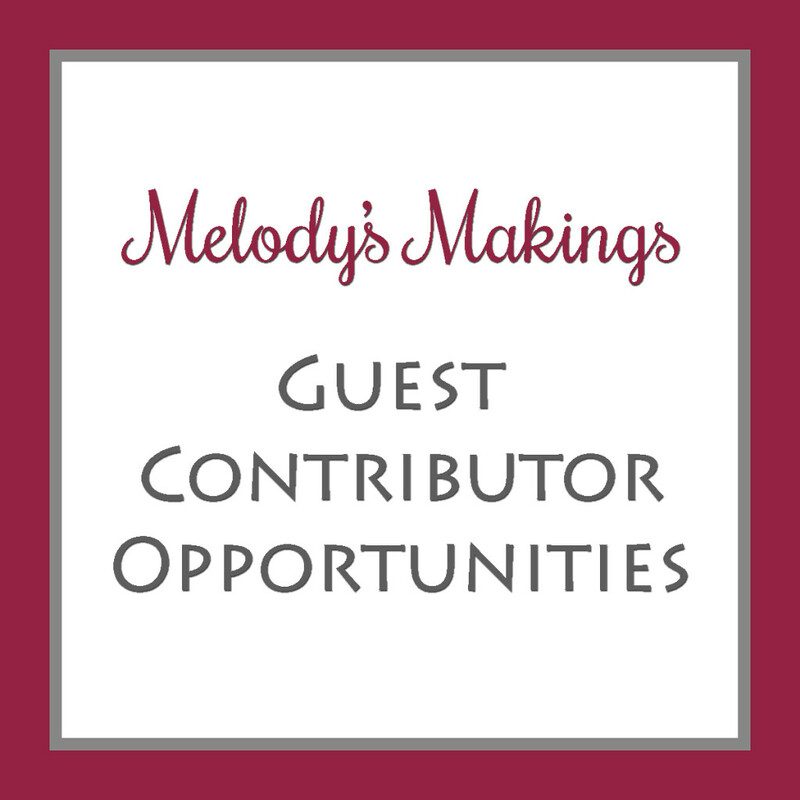 I’d love to have you as a guest contributor. I would love to guest post. I’m always free handing things, knit and crochet. So this would force me to actually write it out. When do you plan on starting the guest posts? Under your terms, “The description, and info. included in the pattern introduction will be exclusive to my site permanently, and no portion of it may be copied if you re-post the pattern on your own site when the 6 month term has expired”? Is that the “romance” and “introduction” in the actual pattern or something that is written outside the pattern? Hi Mary! That’s just the description of the pattern that I write in my blog post. Basically, I’m just asking that when/if you re-post, that you write your own post entirely (besides the pattern of course). Otherwise we could both by penalized by Google for having the same info. That makes much more sense than the original way I read it! You guys are some amazing women!! I’m in awe! When you say “content,” do you mean a completed project? Like at the fun knit or crochet related content? No…completed projects aren’t what I’m looking for. Things like RoundUps, Product Reviews, etc. would be more along the right lines. Its greedy people like you that post your pattern on a web-site that is suppose to be free patterns. I don’t think that is right.